I recently had the privilege to go on my first European vacation with my family. We took advantage of Icelandair’s excellent stopover service and took 3 days to explore Iceland on our way to Sweden, where my husband would be attending a conference in Uppsala. 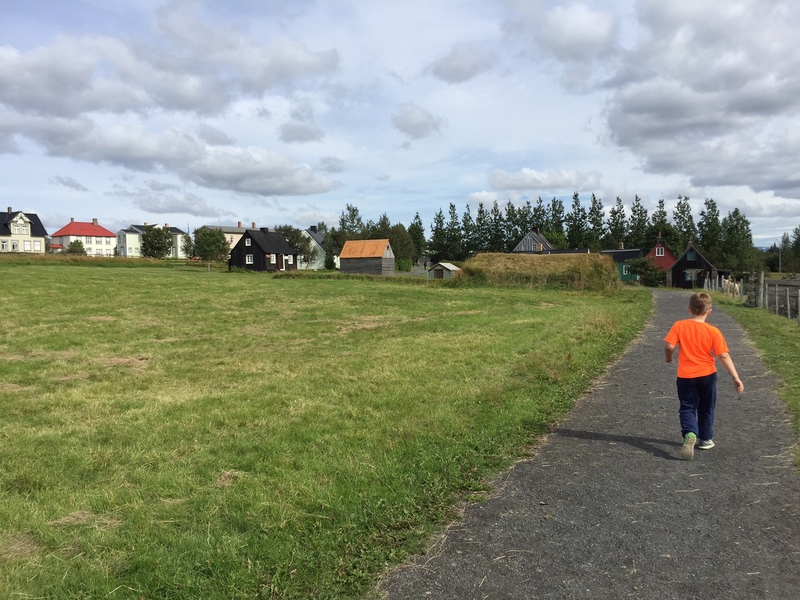 On our last day we visited the Árbær Open Air Museum, which is part of the Reykjavík City Museum group of museums. 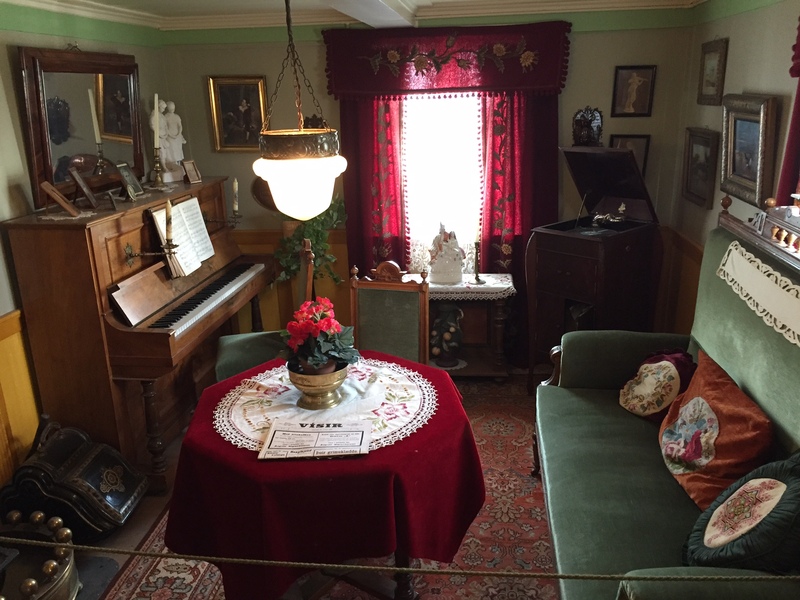 I’ve always loved living history and historic house museums – this place topped all that I have visited in the past. Looking across many of the historic buildings at the Árbær Open Air Museum. According to their website, Árbær was an established farm well into the 20th century. A museum opened on the property in 1957, which is located on a grassy hillside on the outskirts of Reykjavík. Now there are more than 20 historic structures that form a town square, a village, and a farm. 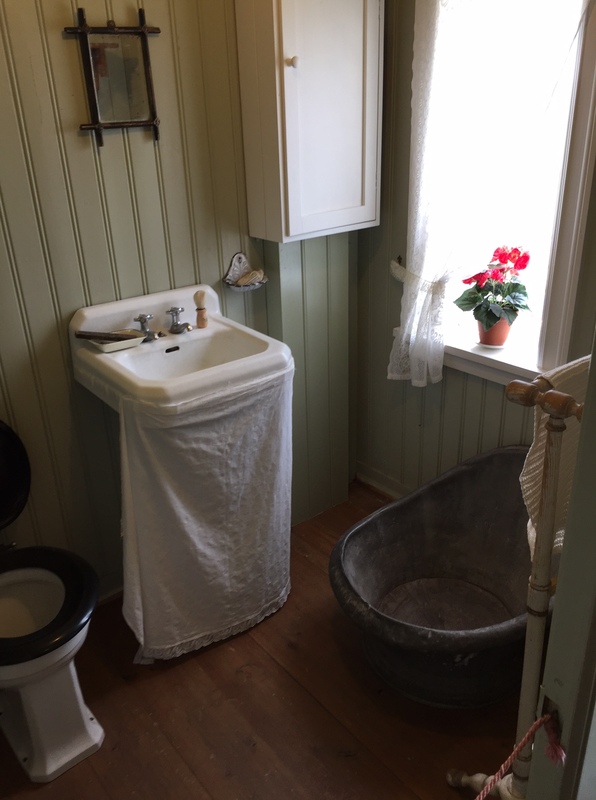 The buildings include the old original farm house, a church & rectory, a blacksmith house, many residential buildings that represent a variety of architectural styles, and a pair of large warehouses built around 1820. 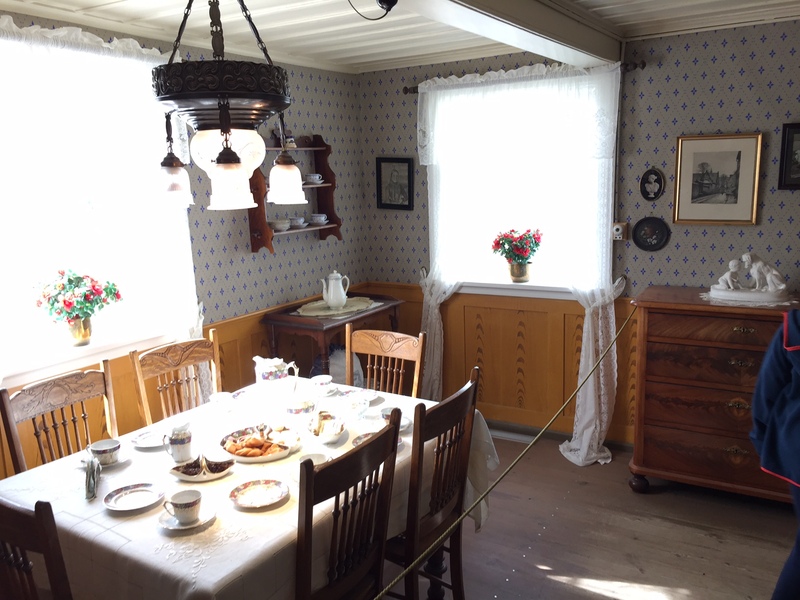 Many of the buildings are decorated in period furnishings, giving visitors a sense of how people lived in Reykjavík over the decades, many in opulence and others in real rustic conditions. Other buildings contain thematic exhibitions, including “Building Techniques in Reykjavik 1840-1940,” “Consumption – Reykjavík in the 20th Century,” and “Employment of women in the home from 1900-1970.” This innovative combination of special exhibits set in historic buildings was new and exciting for this museum-goer. It helped keep the 7-year-old in our group as interested and occupied as the 75-year-old. Equally as fun and engaging as the exhibits was the farm element. Live ponies, sheep, and chickens broke up the wide expanses of territory and brought life to our adventure. 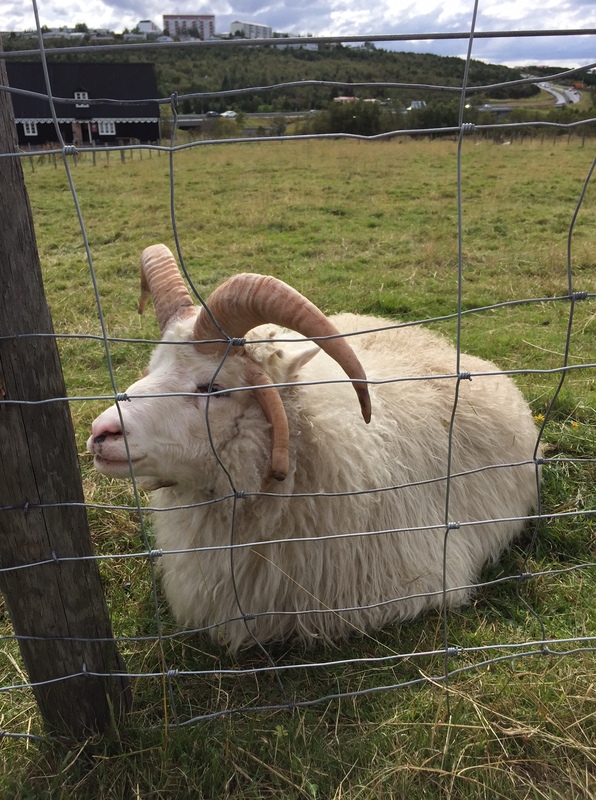 An awesome four horned Icelandic sheep that fascinated our whole group! Our favorite structure, however, was the old original farmhouse. A stone barn connected to a structure with three peaked roofs allowed residents to tend to the small animals (probably goats or sheep) without having to go outside. Two of the roof peaks represented the sleeping quarters, one for the boys and travelers, and one for the girls. This farmhouse seemed so practical, well-designed, and comfortable, my son and I could barely pull ourselves away from the building. 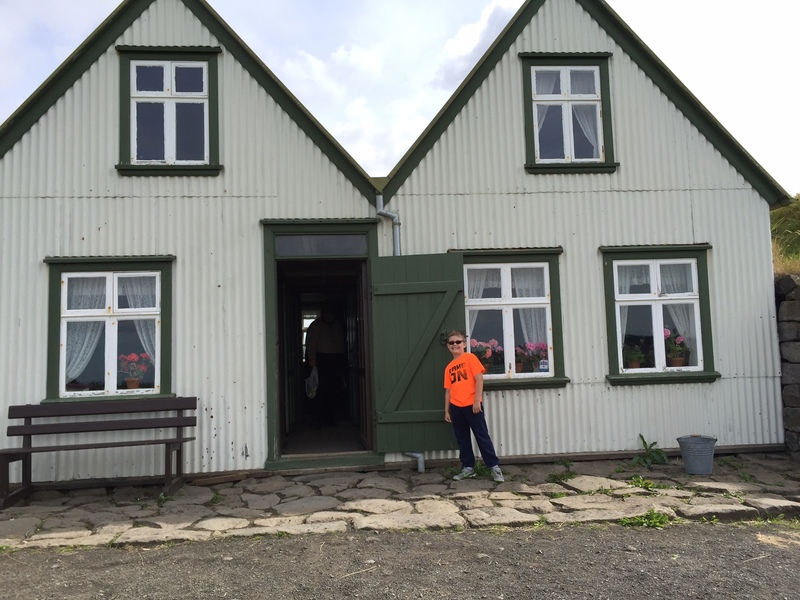 We left wanting to know more and wishing to buy a publication at the gift shop (in English) about the history of the museum and the family who occupied the farm (unfortunately, we left with only a key chain, a mug, and a miniature Icelandic sheep). Our departure from the Árbær Open Air Museum left me feeling invigorated for my work with the Fairbanks North Star Borough Historic Preservation Commission. 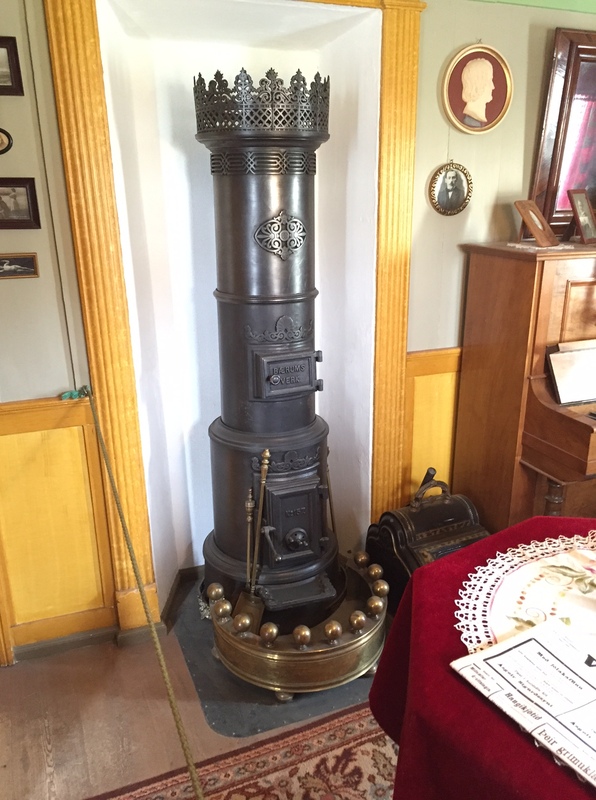 Fairbanks, like Reykjavík, has seen a variety of architectural periods pass by, from the gold miner log cabins, to early framed homes, through the wartime and pipeline days. While we are lucky to have Pioneer Park and the Gold Rush Town structures, my desire to help people understand the actual history represented by those buildings leaves me wanting more out of that park. Over the coming years, I hope to learn more about the process followed by Árbær to create such a successful open air museum that both honors the architectural history of Reykjavík and Iceland, as well as the people who built and made a life in those homes. Here are a selection of photos from our visit. A fine place to spend some time. 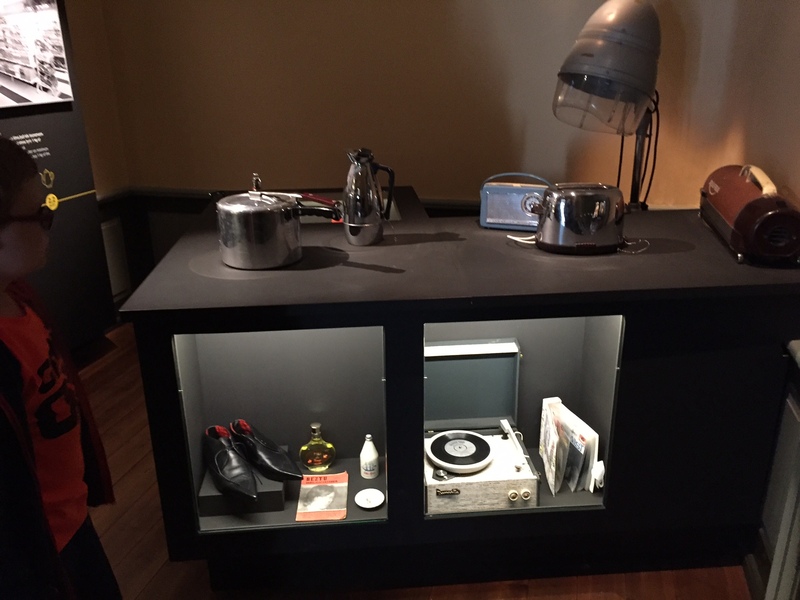 An example of exhibit cases installed in a historic structure to tell the story of consumption (not the disease) in Iceland. 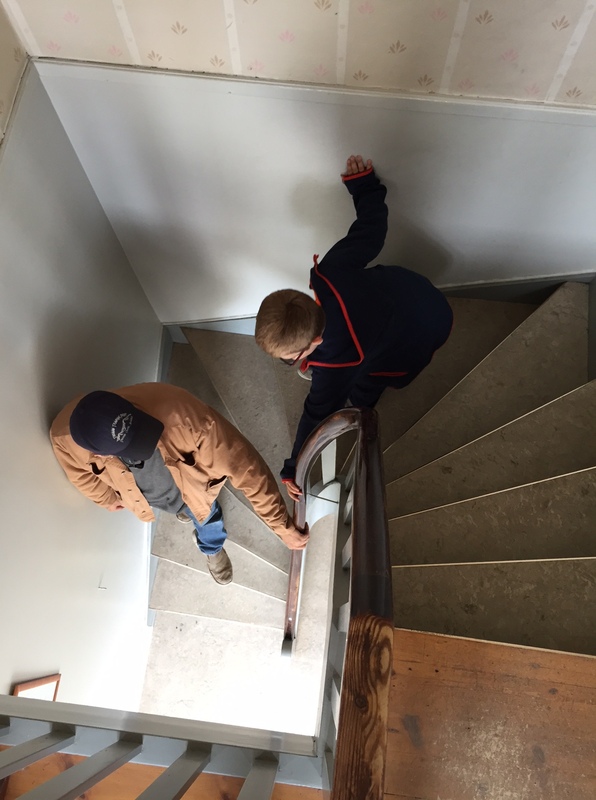 One of the wider stairwells we encountered.